Drain the tofu and gently squeeze out the excess water with some kitchen towel. Cut the tofu into cubes and coat lightly with the corn flour. Fry the tofu in the sesame oil in a pan until golden brown. Meanwhile, cook the ramen as instructed on the packet, drain and put to one side. 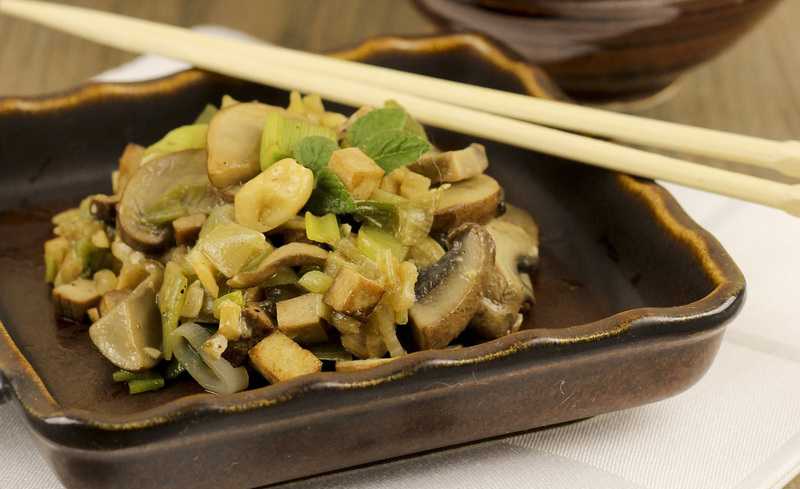 Remove the stalks from the Shiitake Mushrooms and add to the tofu (add extra oil if necessary). After approx. 1 minutes, add the Shoyu to taste. Place the stir-fry on top of the Ramen Noodles and serve.